Last Monday, T-Mobile announced its 3rd of three plans to change the mobile industry for the better. And – although the phases weren’t officially given any Uncarrier phase numbers, they were still pretty industry-altering in nature. The last of which was not only the announcement that it would abolish overages for its customers, but also a petition for other wireless carriers to do the same. John Legere laid down the gauntlet for his competitors with a petition over at Change.org, which has already received over 100,000 signatures in just over a week. Legere announced the milestone himself on Twitter a little earlier today, and is right to be impressed by the figure. It’s worth considering that the other carriers might just follow T-Mobile’s example here. Throughout the Uncarrier movement, in its various stages, the competitors have altered their plans to compete with T-Mo. Whether it’s through announcing a EIP payment system, allowing early upgrades, or trying to pay off customers to switch networks, Magenta is having an influence. Overages are a profitable sideline for carriers historically, so it’ll be interesting to see if Big Blue, Big Red or Old Yeller decide to respond to the challenge. Fingers crossed. If you’re yet to sign the petition, you can do so here. All legacy plans regardless of cost will move to unlimited. John Legere announced it on Twitter and then mic dropped it. that’s what TMO is doing, but the other carriers can do it however they want. The question wasn’t about TMO. This should also go for BANKS! This should also go for prepaids…..
Yeah.. But a $1 refill and u want unlimited everything.. really ?? $1 is way too much, how about 13 cents and a lollipop…. AT&T and Verizon won’t move to unlimited data just because T-Mobile is asking them to do so… They might just offer big buckets of data like the one AT&T has of 10GB for $100. AT&T already does that under its Aio brand. I would say the big 3 should stop creating new brands where they offer “unlimited” data and instead, offer it under its own brand. At the end of the day, it’s the same thing! 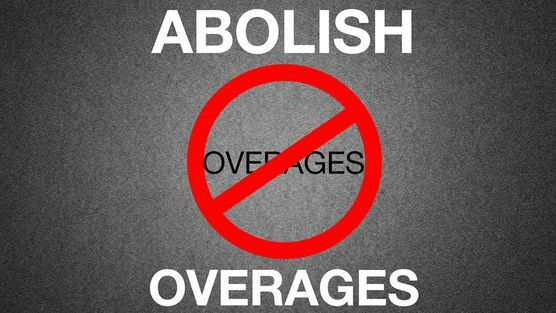 How about we create a petition for TMobile titled “Abolish 2G”? Hey man. I got to admit that was funny and real. I wish they had a map or announcements on where they’re doing the upgrades. Because of the lack of coverage where I moved to, I had to drop TMo for ATT(after 8 years & 7 lines). Which I wasn’t happy with since im actually a former T-Mobile Employee. But they only had 2g data coverage. Id like to come back, but I cant unless the data is improved. My contract with ATT is coming up,and im just wondering if I should hold out for TMo, or, not even hold my breath. They already announced that. I would like a time line for what markets will be updated. arent they doing that the end of this year? Phily, Boston and Chicago. are getting rid of 2g? right? they plan on using metro LTE? Hey good idea! We should also make a petition for Apple to release an iPhone 6 and Samsung to release a Galaxy Note 4! In case my sarcasm was lost on you, T-Mobile already is upgrading all 2G areas to LTE by mid-2015. They announced it last month. Pretty sure they’re already in the process of that. They’re just adding LTE coverage in 2G areas, phones that don’t support LTE will still connect to 2G. So make sure you have a LTE capable phone, by the end of 2014, when most 2G areas have 4G LTE up and running. I’d like to see T-mobile get rid of the tiny data roaming cap they have in place. Unlimited domestic roaming worked for over 10 years just fine, before they instituted a a limit on the amount of data you can use. It worked for people users but I’m sure it hurt TMo’s bottom line…..If you hit 500mbs on Sprint you get terminated atleast it be that way and possibly still is currently…. TMo would be subsidizing other carriers networks in the process of helping us customer’s…. So unlimited international data roaming doesn’t hurt T-mobile but domestic roaming does? I would assume since the majority of TMo USA subs live in the United States and don’t travel internationally daily or at all, that allowing domestic data roaming would be more a way heavier price tag…. International roaming costs T-mobile a lot more per mb than domestic roaming. T-mobile gave unlimited for the entire time, until a couple of years ago. They changed the policy to make as much money before the AT&T acquisition. That never went through but they retained the limit. No other carrier limits a customer to 50mb. Heck, the 500mb softcap(not like T-mobile’s hard cap)that Sprint offers is 10x the amount and would be welcomed by T-mobile customers. I guess limiting roaming to 50mb is the “uncarrier” thing to do, because the other “carriers” don’t limit it. Oh, and T-mobile never had a quarter where they have lost money, that is until recently. I understand it would cost more per mb out of country for data roaming but there would be more actual use here in the states for domestic roaming…The overall cost would have higher price tag due to volume of use here domestically…. I agree 50mb is low and should be higher….. I also want to point out that the free international roaming typically is 2g data but have read some places have hspa+…. Since the frequencies for 3G with T-mobile are different than other GSM carriers it was/is always 2G or GPRS when you’re roaming, unless you had an Iphone. The policy change followed directly upon the new roaming deal that they arrived at with AT&T as part of the failed takeover breakup. It was announced in Q1 2012, a few weeks after the takeover deal collapsed and the 7 year 3G roaming deal was unveiled. Given that AT&T were obliged to hand over $ billions in cash and spectrum to a company that was thereby being hugely empowered as a competitor, I am absolutely certain that they will have imposed the most punitive terms possible. It was more that T-mobile customers all of a sudden would have much more areas where they never had coverage before, thus would cost T-mobile more money. The coverage area for T-mobile increased substantially with the roaming agreement. It’ll be interesting to see the impact upon customers when they lose that roaming agreement in less than 4 years. Also, the amount of cost to T-mobile for roaming on AT&T’s towers would have been detailed in the acquisition. AT&T couldn’t change the terms later. You suggested in your last post that the change in policy pre-dated the new agreement and was driven by a desire to optimize revenue prior to the takeover, so I’m not sure how close you are with this latest suggestion for their motive. Either way, as the 7 year agreement began in January 2012, the time remaining is less than 5 years, not 4 as you suggest. I have no idea why you think the terms of a roaming agreement reached between two competitors who are not going to merge would be determined by their previous plans to merge which were never executed. It wasn’t a suggestion. I was incorrect on the date but it was/is a money saving strategy that is not incorporated by any other carrier near to the extent that T-mobile takes it. Yes, the breakup part of the acquisition would have been hammered out in the beginning, in case the acquisition didn’t go through. If T-mobile did not stipulate how much they would pay AT&T for the roaming that they’d get if the acquisition(not merger) did not go through then they need to hire a better lawyer, because AT&T could charge so much for T-mobile customers to roam, even with voice, that they’d get back the billions they lost in the failure to buy T-mobile. T-mobile isn’t that stupid to not have that ironed out in advance. I inferred from what you said previously (i.e. “the amount of cost to T-mobile for roaming on AT&T’s towers would have been detailed in the acquisition”) that you were somehow talking about transitional costs, if the acquisition went ahead. That’s why I said I had no idea why you would think those would be relevant. I understand now that you meant they “would have been detailed in the breakup deal” rather than “in the acquisition”. I don’t doubt the terms of the roaming deal would have been determined in advance along with the rest of the break up package. In any event, however, those terms would have been set in the broader context of AT&T also handing over a boat-load of cash to DT and sufficient AWS spectrum to make TM a competitive force again. It wasn’t just a matter of the immediate cost to AT&T. Since TM were previously dead in the water with no hope whatsoever of deploying LTE, the spectrum offered them a lifeline that they couldn’t obtain in any other way. The total effect was a huge market swing away from AT&T’s ambitions. Part of the trade off in the deal was an expanded roaming footprint, but it will have come at the cost of a much higher data roaming charge. In order of priority, TM needed to load as much of the breakup deal as possible into spectrum, followed by cash to support DT’s short term needs, and then an enlarged roaming footprint. The price of data roaming would have been the least important concession they would be looking for. Given the low margins that TM have been operating on for years, it wouldn’t take much roaming to eat up all the profit to be had from a customer. I recall that the cost of roaming was seen to be sufficient an issue that they actually terminated contracts without penalty for people who spent the majority of their time roaming. If that had been merely an encroachment on profits, they would have sucked it up. It’s safe to say that those individuals risked costing more money in roaming fees than TM was earning from their subscriptions and they had to go. What the heck did you just say? T-Mobile is “calling” on competitors to end overages it sounds like it’s an insincere request. If they actually do it, T-Mobile would lose a competitive advantage. I like T-Mobile because of their value (price:performance index) but if Red or Blue (with their larger networks) offered an equal value, I’d have to seriously consider switching. Because T-Mobile is going pro consumer first and putting business second. dont forget that t-mobile just RAISED the price on its unlimited everything plan from $70 to $80 and dropped the $70 plan’s data limit to 5gb. What I want to see T-Mobile do us to allow data to be shared within a family plan. Other carriers are more un-carrier in this respect than T-Mobile. Yeah, this would only apply to the free high speed 1GB data plan that comes with Simple Choice. If one phone doesn’t use much data, why can’t the other family member use it? You do realize that you pay more per gb on data with other carriers in those shareble plans…. I see your point with added cost from other carriers. But, why would you object to sharing the FREE 1G high speed data that comes bundled with each of the two phone lines in a family plan? If one line doesn’t use it all, why can’t the remaining bytes be shared for free with the other line? There’s a huge practical difference between running an end-of-cycle billing algorithm that simply charges overages for any data use on an account that has passed a certain limit, compared with trying to apply a dynamic throttle that somehow determines, during the course of a billing cycle, when individual lines are no longer able to consume 4G data, based on the cumulative activity of the multiple lines on their account. The twist in TM’s line of attack here is that they know that it will be pretty much impossible for AT&T and Verizon to meet the demands of the campaign while continuing to offer pooled data plans. Well, well, well… look what just happened. T-Mobile Uncarrier 8.0 not only continues to abolish overages, but offers rollover for unused data!